Fi-Foil Co., Inc. multi-layered B-3 Silver Shield reflective foil insulation is one of the most effective insulations on the market. It resists all modes of heat transfer: convection, conduction and radiation. 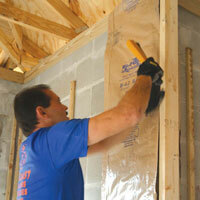 B-3 Silver Shield can be used in stud and masonry walls, ceilings, floors and roof rafters as a radiant barrier. Foil-Faced Foam Sheathing board is composed of a uniform closed-cell polyisocyanurate foam core bonded on each side to a trilaminate foil face. One side has a printed foil reflected face and the other side has printed non-reflective foil face, depending on your building needs. 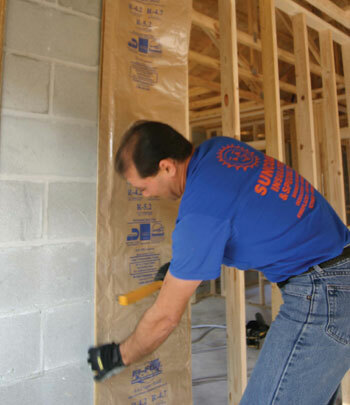 The superior properties of polyisocyanurate produce the highest degree of insulation efficiency. Wilco Enterprises, Inc. D.B.A. Suncoast Insulators & Specialties.